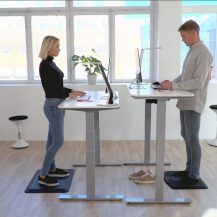 SUN-FLEX®DESK is a newly developed sit/stand desk support designed to encourage more movement at work. With this high-quality, height adjustable desk support, you can adapt the desk to match your preferences. 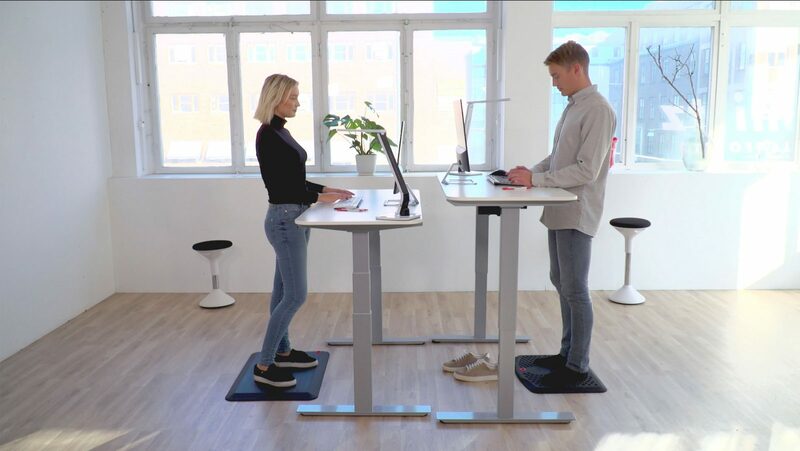 The carefully considered design allows you to adjust the support to suit your new workplace – or upgrade your existing one. SUN-FLEX®DESK is made of robust material, ensuring optimal stability and function. The motor is encapsulated in insulating material to guarantee a non-intrusive noise level, even in open-plan offices. 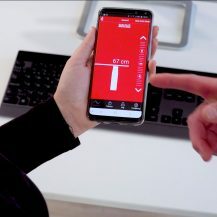 SUN-FLEX®DESK is simple to control using a newly developed app which you can download to your smartphone from the App Store or Google Play. You can then use the app to design your new workplace on the basis of your individual preferences. 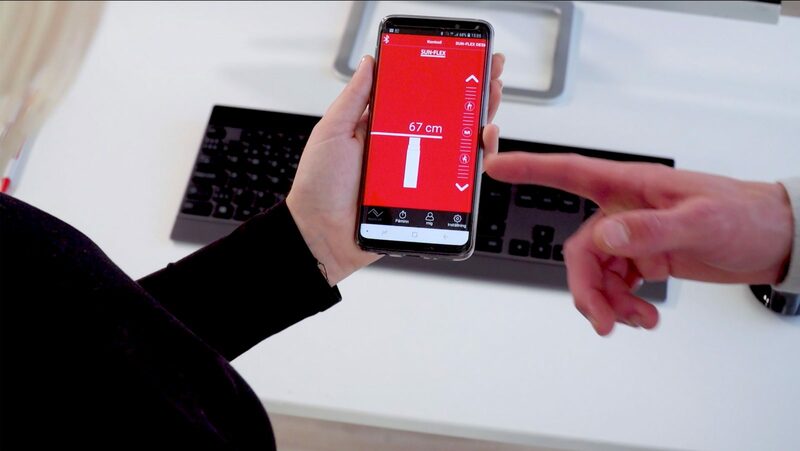 Via the app you can adjust heights, set memory functions, access statistics and more – and all in seven different languages. 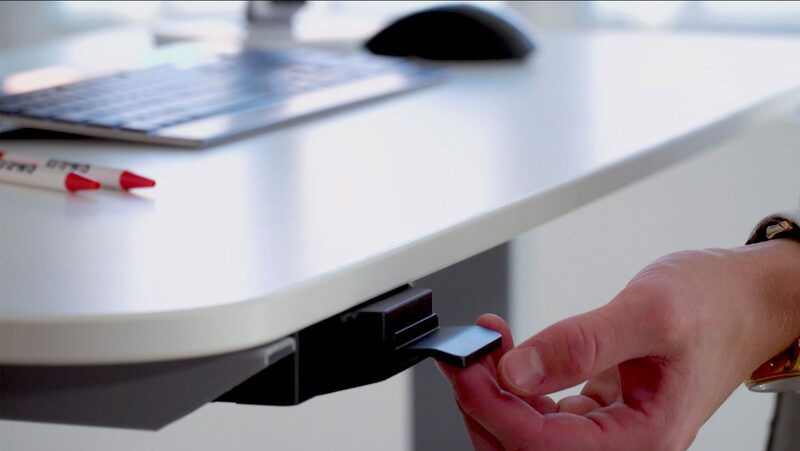 You can also make height adjustments using the easy-to-access, intuitive controls at the desk edge. It should be simple to work ergonomically. 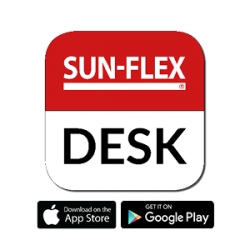 Let the SUN-FLEX®DESK app do the job! Lifting capacity, static: 120 kg. Lifting capacity, dynamic: 80 kg. Speed, height adjustment: 30 mm/sec.